Patient welfare depends on accurate image reproduction. 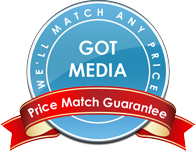 Medical CD-R and DVD-R media incorporates a specially developed proprietary recording dye that provides superior performance and reliable data recording at all writing speeds. Patented dye technology also provides the long archival life required for healthcare image and records retention by protecting critical patient data from heat, humidity, UV light, and other environmental elements. Disc-to-disc consistency is another key to the quality of Medical media. This media employs special manufacturing and testing control procedures that assures each Medical CD-R and DVD-R performs at the highest standard. 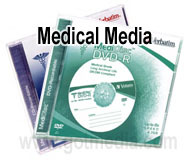 Medical CD-R and DVD-R media are DICOM compliant and usable in HIPAA records systems.